Grab your gun-boots and get ready to fall in style. Downwell, the roguelike vertically scrolling shooter, will be heading to Nintendo Switch on January 31st 2019. The award-winning game will be available for the meagre price of £2.69 / $2.99. Developed by Moppin, Downwell is a procedurally generated roguelike where players explore the depths a mysterious park well. Taking on the role of Welltaro (a man who just happens to own a pair of nifty gun-boots), players venture through the seemingly infinite well in a vertical fashion, killing monsters and uncovering secrets along the way. No adventure is ever the same in Downwell, with in-game locations shifting each time a level is booted up. The game features a variety of weapon upgrades, collectable gems, unlockable colour pallets, and additional weapons that alter the way the gun-boots fire. 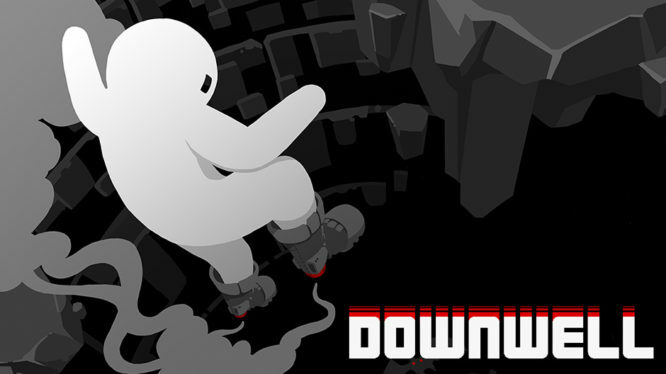 Publisher Digital Devolver also revealed on twitter that the Nintendo Switch port of Downwell will be playable in both the standard horizontal orientation and in vertical “tate” mode. Meaning FlipGrip owners can rejoice in the fact that another title has just joined the compatible games list. Downwell will be available for Nintendo Switch on January 31st 2019, priced at £2.69 / $2.99. So if you fancy a trip down the well, then be sure to check out it out on launch day.